Parliament remains deadlocked after MPs once again rejected Theresa May's Brexit withdrawal agreement. But could a series of votes on different Brexit options offer a way forward? A process, known as indicative votes, has already tried to find a consensus - but it failed to find a majority for any one outcome. So is that the end of it? No. A second round of indicative votes is expected on Monday. The process is likely to be very similar to last time, according to the order paper. MPs will be able to submit their options to the Speaker, John Bercow. He will then select which options are debated and eventually voted on. Last time, eight options were selected. But on this occasion Mr Bercow could decide to select fewer - for example only the three options that commanded the most support on Wednesday. Or, he could choose more. The voting system - where MPs select yes or no on each option - is expected to remain the same. Here is a reminder of what the options were and how MPs voted on them, in the first round. This option would require the public to agree to any Brexit deal, through a "confirmatory referendum". But it would be up to MPs to decide what the question on the ballot would be - and that could lead to renewed deadlock. For example, should there be two or more options to choose from? 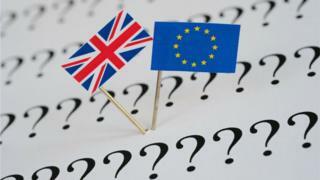 How could another referendum work? Under this option, MPs could pledge to support Mrs May's Brexit deal (known as the withdrawal agreement) in exchange for a commitment for the UK to remain in a customs union with the EU. 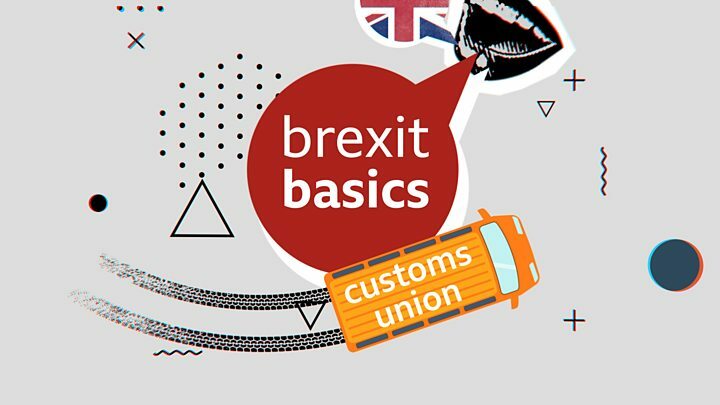 A customs union is a trade agreement under which two or more countries do not put tariffs (taxes on imports) on goods coming in from other countries in the union. This arrangement would give the UK a closer trading relationship with the EU and reduce the need for some (but not all) checks at the Irish border. It would go some way towards removing the need for the backstop - the insurance policy in the withdrawal agreement designed to prevent a hard border (eg border posts) in Ireland. But being part of a permanent customs union with the EU would stop the UK striking its own independent trade deals with other countries (such as the United States). Mrs May has previously ruled out remaining in a customs union as one of her "red lines". Labour's position is to remain in a customs union in addition to having a "close alignment" with the EU single market. While being in a customs union prevents the UK from negotiating its own trade deals, Labour says it wants the UK to be to have "a say" in future EU trade talks. But EU law does not currently allow non-EU members to have a formal say or veto in its trade talks. However, Labour says the EU has shown flexibility in the past and its proposal cannot be ruled out until the party has had a chance to negotiate formally. What is Labour's custom union policy? This option would involve the UK joining Norway, Iceland, Switzerland and Liechtenstein as part of the European Free Trade Association (Efta). It would mean remaining in the single market, which would ensure the free flow of goods to and from the EU - avoiding friction at the borders. But the UK would have to retain freedom of movement (the right of EU citizens to live and work in the UK and vice-versa) - although some restrictions could apply. The UK would also need pay into the EU budget and follow many of the EU's rules and regulations. Under the plan, the UK would also remain in a customs union until an alternative plan to a avoid a hard border in Ireland was found. This option is referred to as the Common Market 2.0 or the Norway plus plan. This would mean cancelling Brexit altogether. Article 50 is the two-year process which triggered the UK's departure from the EU. The original deadline of 29 March has now been extended for at least a couple of weeks. Last year, the European Court of Justice ruled that the UK could revoke Article 50 itself, without having to ask the other 27 EU countries for permission. By revoking Article 50, the UK would bring a halt to the entire Brexit process. It would therefore remain a member of the EU on the same terms, including keeping its budget rebate. No deal is the legal default outcome in the absence of agreeing a deal or revoking Article 50. So if the political deadlock cannot be resolved, a no-deal Brexit could still be the final outcome. If the UK did leave the EU with no deal, it would mean initially trading on World Trade Organization (WTO) terms. This means that certain goods would be subject to tariffs. The UK would also lose all the trade deals it is currently part of as an EU member - although the government is currently trying to replicate these "as far as possible". In addition to tariffs, UK goods entering the EU would be subject to extra checks. There have been warnings that this could lead to bottlenecks at some ports (such as Dover). The UK has undertaken preparations, code-named Operation Yellowhammer, to address any disruption in the first few days of a no-deal Brexit. As part of the contingency plans, up to 3,500 troops will be ready to be deployed, if necessary. Brexit: What trade deals have been done so far? This option assumes the UK is unable to pass the withdrawal agreement. Under this scenario, the UK would leave the EU but there would be a commitment from both sides to recognise each other's standards and regulations for up to two years. Supporters refer to it as a "standstill" agreement and say this would mean that goods could continue to flow freely and tariff-free (ie no taxes on imports). The UK would be able to negotiate its future relationship, but would continue to pay into the EU budget during this period. Supporters say such an arrangement would avoid disruption, but detractors say it would not eliminate the need for checks. Brexit Secretary Stephen Barclay told MPs that the EU has repeatedly said it is unwilling to accept such a plan. Under this option, the UK would participate in the single market and Efta but, unlike the Common Market 2.0 option, it would not enter into an EU customs arrangement. This would give the UK the freedom to sign its own trade deals. However, it is not clear how such an outcome would avoid the need for customs checks at the Irish border - the plan acknowledges the need for "new protocols relating to the Northern Ireland border".